Just want to say THANKS for showing me the hunting time of my life! The week I spent bowhunting elk with you folks was fantastic. I saw more elk, and especially more BULLS than I’ve seen in 17 years combined of hunting in my home state, Oregon! Sorry I screwed up and missed so many shots before finally bagging that nice 4×5 bull on the last day. The accommodations were very comfortable, the food was incredible, and thanks for putting me on that sure-footed, well-mannered horse. 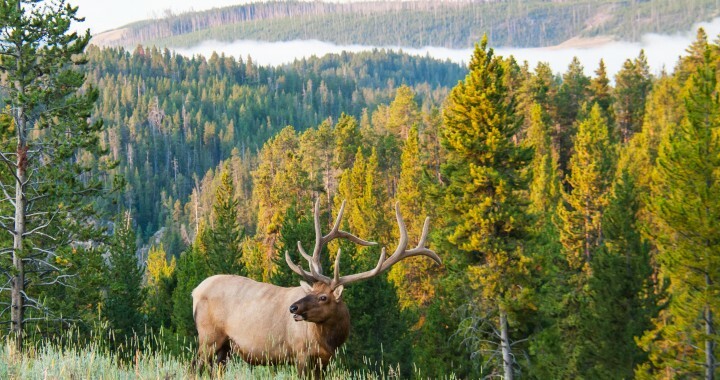 And your hunting area–BEAUTIFUL beyond description–and full of bugeling elk. Who would believe you could hunt a week without seeing any other hunters? But the best part was my guide. He knew the country and guided me straight to the elk on almost every hunt. He didn’t complain (much!) when I’d blow an easy shot, but kept taking me straight to the elk day after day. On one afternoon hunt at the top of one ridge, and this is hard to believe, he called in FOUR bull elk one after the other in a space of less than 200 yards!! I’d have to say the guy was an elk hunting genius! What’s the dates for next year’s hunt? I’m coming back as soon as I can!